How we’re helping our customers get the data they need faster and better than ever. Beginning in the first quarter of 2017, Synovia Solutions LLC (Synovia) will begin to roll out a new software as a service (SaaS) platform to our customers. Prior to this new platform, our customers used Silverlining, our easy-to-use SaaS system that delivered an all-inclusive turnkey solution for the school’s GPS needs. It was a very user-friendly system that allowed our clients to know where their buses were at all times. So why the change, you may ask? Why did Synovia make the decision to move to a new software, and what can our clients expect to experience with this change? In the end, it’s all about providing an even better experience for our customers. We have more than 800 customers and 15,000 users, and all of them wanted one simple thing: a faster, more modern user experience. We have listened to, studied, and considered all of the feedback. The result? Synovia has put together a completely new software experience that is going to accelerate value for every customer and end user. This launch is about so much more than just new fonts, colors, and icons. It’s about making it easier for our customers to get the data they need to do their jobs effectively. The project has been a multi-year mission for Synovia. We started with the Silverlining mobile site in 2015, which gave us the foundation to re-imagine our software-as-a-service. 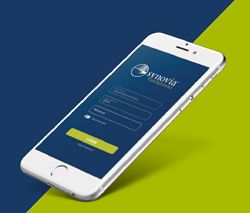 We asked ourselves, “If we were back in 2001 but had all of the technology available we have today, what type of software solution would we build?” The result is Synovia’s new software platform. It’s not just a great new user experience. It’s also packed with new features to help schools work more productively and make better decisions. The benefits our customers will experience with the new software are plentiful. First and foremost, school districts will experience improved overall performance. The new software is much faster to load and easier to operate than the old platform. The difference is very noticeable and will help our customers perform their jobs even more efficiently by allowing them to pull up the data they need quickly and without issues. Additionally, a couple of the biggest drawbacks in the past were the software’s inability to run the program using all internet browsers and the need to download a browser plug-in. Now with the new solution all modern browsers, including Chrome, Firefox, Safari, Internet Explorer, and Edge, can be used to run the program, and no plug-ins are necessary. Schools can use their preferred browser and get up and running immediately. The user experience and the ability to perform new functions will also benefit our customers. For example, the search feature is much improved in the new solution. Schools can now search based on object properties rather than just the name. This means you can search by VIN, phone number and more. Data can be filtered by these properties as well. Reporting is also a key component to using the software effectively, and it too is much improved with the new solution. Users will now have the ability to create ad hoc reports. Is your boss asking for a new set of data? Prior to this launch, creating a new report was a time-consuming effort and could not be done on the fly. But now users can create new reports on the spot, pulling the specific data needed in that moment. Users of the new system will also be able to create customizable dashboards. Schools can determine what information they need to access on a consistent basis and easily set up a custom dashboard that will display and refresh the data as necessary. Additionally, vehicles can now belong to more than one fleet and users can run the software from multiple locations. It can be run on a PC, laptop, tablet, or smartphone. No longer will you be chained to your desk in order to pull up your GPS tracking data. Instead, you can work effectively from home, in your car, or even at the bus yard. The customer service experience has been improved as well. Users of our new software will have built-in customer service features. They will be able to create a support case directly from the software, and are able to view all open cases. And if your equipment needs to be returned for any reason, you now have the ability to create an RMA (return material authorization) directly from the software. Customers will no longer need to go to a separate site to log the information; it’s all in one convenient place within the software itself. Finally, one of the biggest and most important benefits of the new software solution is the improved mapping. Synovia utilizes the ALK Technologies map engine. ALK is a global leader in GeoLogistics solutions and navigation software and has focused on developing innovative solutions for the transportation industry. The maps provided by ALK are more up-to-date and load much faster than before. And with this new system, schools will have the ability to map more than one vehicle history at a time and will be able to determine an estimated arrival time using real-time traffic data. As an added benefit, users will be able to create and print turn-by-turn directions directly from the system as well. We are excited to bring our improved solution to our customers. As we roll out the new software, our current clients will need to be moved over to the new platform. Luckily, this is an easy and straightforward task. It begins with training. This is always an important piece of the puzzle when working with a new software system. For each solution our customers have installed, there will first be pre-go-live training sessions. These will be online, either during a one-on-one session or via a larger webinar. We have also set up several on-demand tutorials and videos for our clients to watch. This allows you to answer questions and train when it’s most convenient for you. Once a school district is confident and ready to go live, a date will be selected and instructions will be provided. The move to the new software is quite easy. There will be a new URL used to log in to the new system. All vehicles, zones, and users will be automatically moved over to the new platform, and your same login and password from the old system will work. It’s really that simple. We hope our customers are as happy as we are with our new SaaS platform. We look forward to hearing and incorporating your feedback as we continuously strive to get better. Our number one goal is to give you the instant visibility you need to better manage your fleet. And now we will be doing it with a much improved, faster interface that we are confident our customers will love. To learn more about our software and GPS tracking, download your free copy of our magazine, Ridealong with Synovia Solutions. We'll help you stay on top of the latest fleet management trends, and decide what's right for your team.